Chris Farrell Archives - Joelle Delbourgo Associates, Inc. The budget battles of recent years have amplified the warnings of demographic doomsayers who predicted that baby boomers would bleed America dry, bankrupting Social Security and Medicare as they faded into an impoverished old age. On the con trary, argues award-winning journalist and American Public Media radio host of Marketplace, Chris Farrell, we are instead on the verge of a broad, positive transformation of our economy and society. UNRETIREMENT: How Baby Boomers Are Changing The Way We Think About Work, Community and the Good Life, is a must-read for anyone approach the third stage of life–or in it. 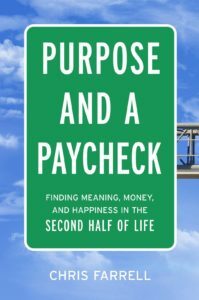 The old idea of “retirement”–a word that means withdrawal, describing a time when people gave up productive employment and shrank their activities–was a short-lived historical anomaly. 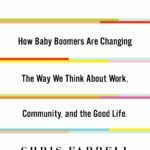 Humans have always found meaning and motivation in work and community, Farrell notes, and the boomer generation, poised to live longer in better health than any before, is already discovering unretirement–extending their working lives with new careers, entrepreneurial ventures, and volunteer service. Their experience, wisdom–and importantly, their continued earnings–will enrich the American workplace, treasury, and our whole society in the decades to come. Unretirement not only explains this seismic change, now in its early stages, it provides key insights and practical advice for boomers about to navigate this exciting, but unsettled, new frontier, drawing on Chris Farrell’s decades of covering personal finance and economics for Bloomsberg Businessweek and Marketplace Money. This will be an indispensable guide to the landscape of unretirement from one of America’s most trusted experts. 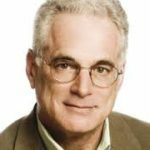 Chris Farrell is a contributing economics editor for Bloomsberg Businessweek and personal finance expert and economics editor for public radio’s Marketplace Money, Marketplace, and Marketplace Morning Report. He is also the author of The New Frugality and lives in St. Paul, Minnesota. Unretirement not only explains this seismic change, now in its early stages, it provides key insights and practical advice for boomers about to navigate this exciting, but unsettled, new frontier. 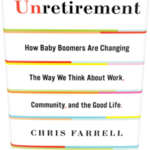 Drawing on Chris Farrell’s decades of covering personal finance and economics for Bloomberg Businessweek and Marketplace Money, this will be an indispensable guide to the landscape of unretirement from one of America’s most trusted experts. Chris Farrell is a contributing economics editor for Bloomberg Businessweek and senior economics contributor for public radio’s Marketplace Money, Marketplace, and Marketplace Morning Report. He is the economics commentator at Minnesota Public Radio. Farrell is also the author of The New Frugality and lives in St. Paul, Minnesota.